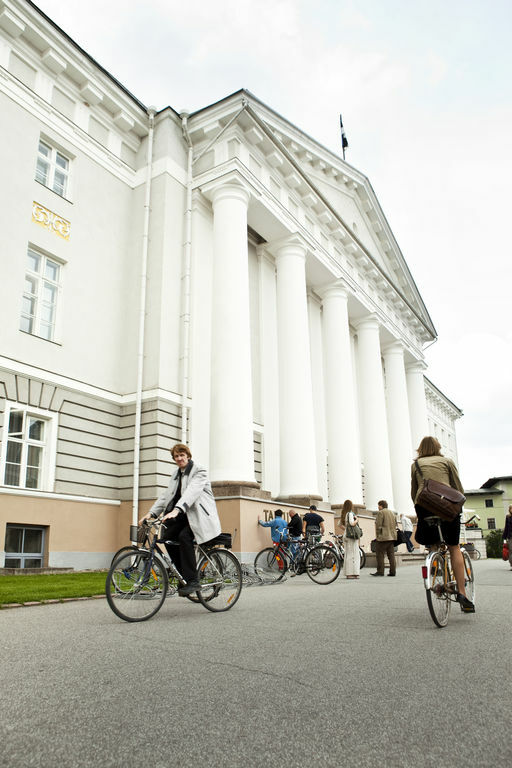 This 1.5-hour walking tour appropriately starts from the University of Tartu’s Main Building, where you’ll learn about the university’s legendary café and see pictures of the rectors. Further we go to Pirogov Square. This is the only public area in Tartu where it is legal to drink beer, and so we do. The guide will introduce you the time-honoured – and often strange – traditions of the local students. On Dome Hill, we will learn why the students wash the head of the sculpture of K. Ernst von Baer with champagne, and become acquainted with the freshmen initiation ceremony. The tour ends at the legendary fountain of the Kissing Students, where taking a photo of yourself while imitating the sculpture and is almost a must.